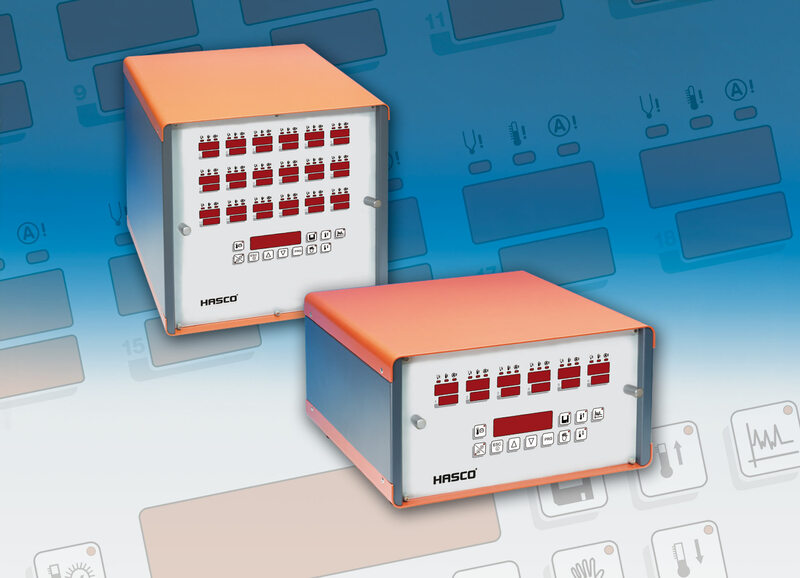 The HASCO multi-zone controller Z12930/… has now been equipped with a clear display of all set and actual values and a number of other useful functions. A newly integrated storage mode for up to six different connection programs facilitates start-up. A diagnosis function is also available for checking the electric wiring of the connected control circuits. Equally user-friendly are the optimised start-up routines with interrogation on control unit start-up, allowing the user a quick production start. A manual power switch-off for all control zones enables stand-by operation, with the prevailing actual temperatures still being displayed. Programmable settings for short-term temperature increase/reduction plus automatic sensor monitoring are also provided to ensure maximum reliability during the entire injection moulding process. 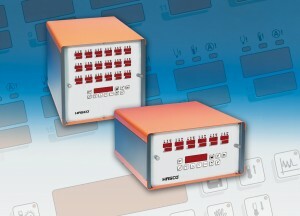 Three unit sizes with 6, 12 and 18 control circuits are available.